The film, inspired by Jean-François Millet’s famous painting, takes the viewer to the French countryside where the underprivileged have for centuries gathered the crops left on the fields after the harvest. 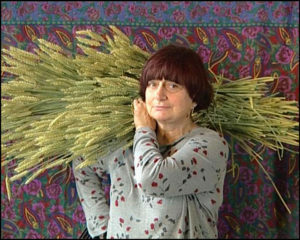 With a career spanning more than 60 years, Agnès Varda has been making documentary portraits for the past few decades with herself as the central figure. 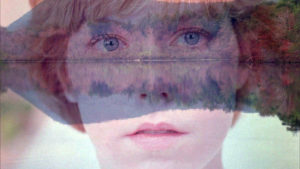 In this film, she closely follows and communicates with people who gather what others do not need. In 2001, The Gleaners and I was screened at the Pärnu Film Festival, and won the People’s Choice Award from the Estonian TV audience. 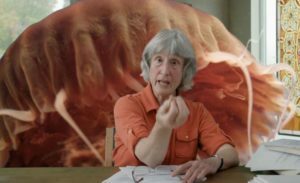 Donna Haraway is a prominent scholar in the field of science and technology, a feminist, and science-fiction enthusiast who works at building bridges between science and fiction. She became known in the 1980s for her work on gender, identity and technology, which broke with the prevailing trends and opened the door to a frank and cheerful trans-species feminism. Haraway is a gifted storyteller who paints a rebellious and hopeful universe teeming with creatures and futuristic trans-species, in an era of disasters. The filmmaker Fabrizio Terranova visited Donna Haraway at her home in Southern California, literally living with her for a few weeks, and producing a quirky film portrait. Terranova allowed Haraway to speak in her own environment, using attractive staging that emphasises the playful, cerebral sensitivity of the scientist. The result is a rare, candid, intellectual portrait of a highly original thinker. 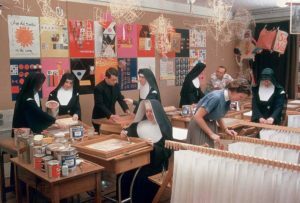 Corita Kent (1918–1986), also known as Sister Mary Corita, was an artist, teacher, equal rights activist and nun. When she was 18, she entered the Roman Catholic order of the Sisters of the Immaculate Heart of Mary, where she became a popular art teacher. Sister Mary Corita used religious, literary and journalistic slogans, as well as the words of pop songs, in her silkscreened collages, drawings and embroidery. In the 1960s her art took a more political direction, inviting her audience to think about poverty, racism and injustice. Baylis Glascock’s We Have No Art and Mary’s Day introduce Sister Mary Corita’s cooperative teaching methods and Thomas Conrad’s Alleluia provides a survey of her life philosophy and art. 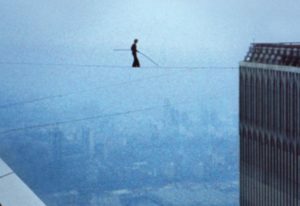 On 7 August 1974, a young Frenchman named Philippe Petit illegally stepped out on a wire rigged between the twin towers of New York’s World Trade Center. After dancing for nearly an hour on the wire, he was arrested, psychologically evaluated, and taken to jail before he was finally released. This extraordinary documentary incorporates Petit’s personal footage to show how he overcame seemingly insurmountable odds to achieve the artistic crime of the century. The film features music by British contemporary composer Michael Nyman. Man on Wire won the Academy Award for Documentary Feature in 2009. In 2008, an American researcher discovers the lost, first recording of a human voice – the 148-year-old voice of a little girl singing a French lullaby. A year later, another researcher reveals that the fragment actually contains the recording of a man’s voice. The story becomes the starting point for an exploration into the contradictory nature of the human voice and its power to defy conventional categories of truth and falsehood, past and present, man and woman. The more we try to shut out her voice the more persistent her song becomes. Klaus Lutz’s (1940–2009) work, which includes references to Bauhaus and the Russian avant-garde, brings us face to face with the vocabulary of an autonomous artist. His hermetic universe is filled with references, meanings, allegories and associations. 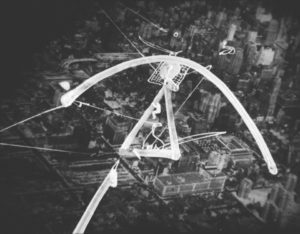 By using various shutter speeds, lenses and self-built machines, Klaus Lutz also made films that combined animation, performance and drawings on different levels. In a style that is reminiscent of the experimental cinema of the 1920s, and the silent films of Georges Méliès and Charlie Chaplin, these films depict the adventures of one person – Lutz himself. There are no pauses or motionless moments in the films, and there is nothing fixed and definite about them. They drift between dream and reality in a world comprised of signs, forms, ordinary objects and shots of the outside world – everything beyond his studio apartment in New York, where all his films were made. The programme is introduced by Frank Matter who directed The Beauty of My Island – Shooting Klaus Lutz.